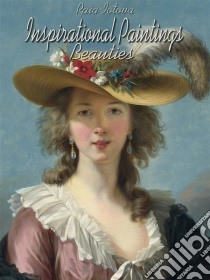 "Inspirational Paintings: Beauties" is a great book if you like and enjoy art. This Art Book contains many wonderful Reproductions of portraits with data page for each painting. The Book includes Table of Contents, and is formatted for all e-reading devices, and Android tablets: you may use rotate and zoom feature on landscape or horizontal images for optimal viewing. Being able zoom in or move around an image lets you learn so much about detail, color and painting technique. The images are in color; they render beautifully in optimized gray-scale tones for black-and-white e-book readers, but exhibit even more stunningly in full color with color readers and inside Kindle apps for color-enabled computers and portable or hand-held devices. Overall this is simply a decent collection of some fantastic women portraits paintings for your everyday inspiration.